I am in the process of writing my bi-monthly design article for Viva Tysons Magazine and decided to write about two areas that often are overlooked by homeowners when designing a room — floors and ceilings. 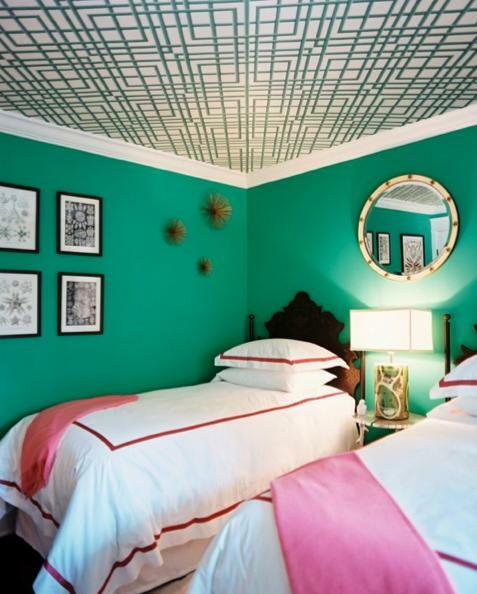 I love to do ceiling treatments, even if it is as subtle as a light paint color that coordinates with the wall treatment. And most recently, I have fallen in love with painted floors. Wait til you see them! So, I thought I would share some of the ideas and photos I am working on for the article, which is due tomorrow and will be published in the July-August edition. 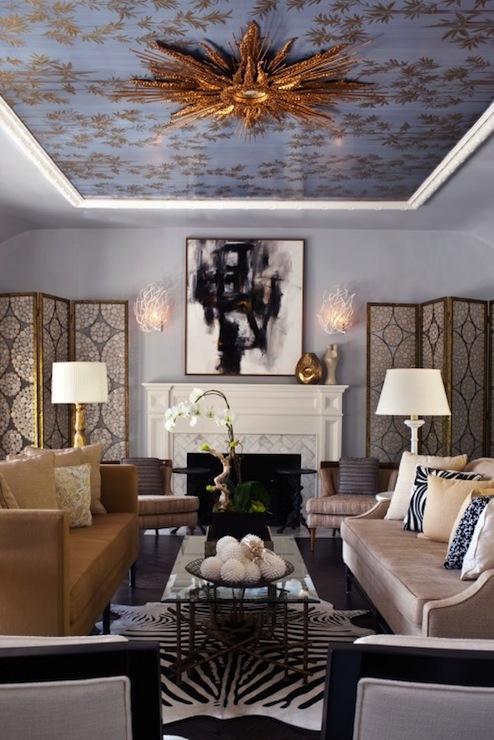 Like ceilings, floors are also being dressed these days with all kinds of custom designs and painted finishes. 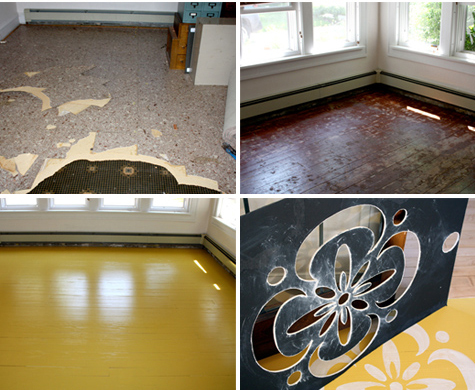 In fact, two painted floors were showcased in the DC Design House this year in the dining room and in the pool room. And, in almost every design magazine I flip through these days, I see at least two rooms per edition that have some type of decorative painted finish on the floor. 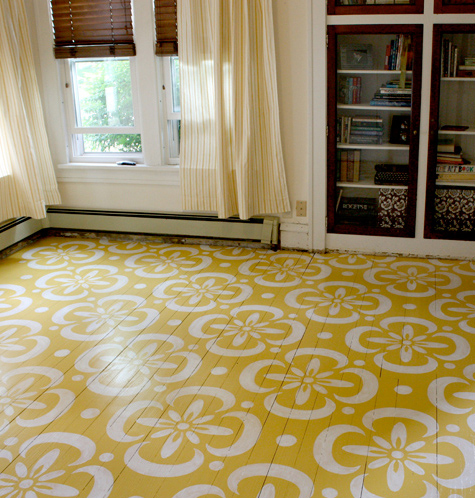 If you haven’t seen these decorative floors, you are in for a real treat as they are A-M-A-Z-I-N-G and quite exquisite. 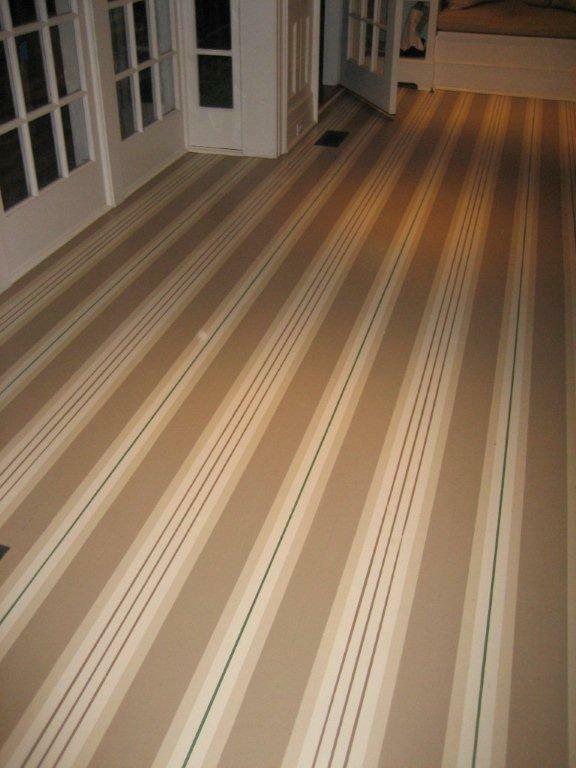 They offer a truly unique way for designers and homeowners alike to personalize a room’s design. So, here are a few of the pictures that I am noodling around with and may appear in my July-August article in Viva Tysons Magazine. Well, there you have it – a little sneak peek at my latest article. Ceilings and floors are some of my favorite areas to decorate; however, they are the areas most often overlooked by homeowners. Many of my clients shutter when I suggest using simple paint on the ceiling, so my hope in sharing this post is that I have opened your eyes to how amazing floors and ceilings can be when you do something uniquely creative with them. I hope this post has sparked your interest and inspired you to make your own unique mark on your next interior design project. Happy painting and wallpapering, and be sure to check out my article in the July-August edition of Viva Tysons for even more creative floor and ceiling designs! If you’d like help creating a beautiful room in your house or office, contact me today to learn how easy it is to get started. ← Our Grand Opening Celebration…Finally! Finding the right painter is key!!! Aren’t these treatments amazing? I just wish I had a bigger house so I could redo all the ceilings and walls. My honey-do list just keeps growing exponentially…too bad I have no ‘honey’ to do it. Ha! Keep the comments coming.